Red Hurley once the King of Ireland's Pop Muisc Scene in the 1970s and early 80s has of late been enjoying a huge career resurgence both in Ireland and the USA. In 2010 he celebrates 40 years in show business with a sell out tour of Ireland with legendary US Singer Rita Coolidge. The highlight was the sell out show at Dublin's spectacular Grand Canal Theatre where Red was joined on stage by legendary US singer Rita Coolidge and many of his friends. The audience profile saw just how successful Hurley's return to the top has become with fans of all ages packing the venue and giving the veteran star 2 standing ovations. He delivered knockout performances of his many chart Hits while dipping into pop history to showcase how his amazing voice can breathe new life into classic pop songs. Particular highlights of the Grand Canal Concert were beautiful and moving performances of Gospel classics 'Deep River' and 'Amazing Grace' (a duet with Coolidge). He closed the show with the truly spectacular 'Danny Boy Trilogy' a fusion of the familiar 'Derry Air' with the American 'Battle Hymn of the Republic' which literally makes grown men cry such is the depth of emotion and pathos which Red Hurley brings to the piece. This man is quite simply not just one of the best singers in the world but also one of the finest interpreters of popular song. A new admirer of Red's is none other than American Icon (Pullizer Prize Winning Author) Maya Angelou who calls Red 'Her Son' and who has helped introduce Red Hurley to a whole new audience in America. 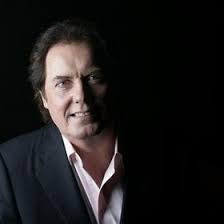 Between 2003 and 2010 Red has recorded 6 successful new albums including a Gospel Album 'How Great Thou Art' and returned to the Irish Top Ten in 2009 with a greatest hits compilation Red Hurley 'The Hits'. He has also starred in a coast to coast TV special for PBS in America in 2006 filmed before a live audience in Dublin's Olympia Theatre. A second PBS TV special is planned for 2011. Speaking in Sept 2010 of the renewed interest in his career Red said that he is 'delighted and really enjoying his life again'. Kevin Myers writing in the Irish Independent in Sept 2010 said 'His intuitive sense of the beautiful is one reason why Red Hurley is such a wonderful singer. He will find the key element of any song -- a single note or phrase -- and elevate that into an unexpected little musical jewel'. Rarely has an artist had the persistence and self belief to rise above so many career setbacks as Hurley has and re-emerge once again triumphant. His is without a doubt one of the best male voices of all time and his international success is long overdue'. It has taken the world a long time to discover just how great Red Hurley is. Lets hope he keeps entertaining us for many years and that the media both at home and abroad come to appreciate just how great a singer he really is.